Wonderfully located in the lively Ximending, Ximen WOW Hostel, Taipei features loft designed rooms with cozy hues and friendly amenities to make your days in Taipei a comfortable one. MRT Ximen Station Exit 6 is just about 150 meters/2 minutes walk away for you to access to other Taipei areas and splendors easily. Chiang Kai-Shek Memorial Hall, Wanhua Mongjia Longshan Temple, Bopiliao Old Street, Huaxi Street, Night Market, Taipei World Trade Center (TWTC) and Taipei 101 are some of the famous business and leisure stops that can simply be reached in short MRT rides. 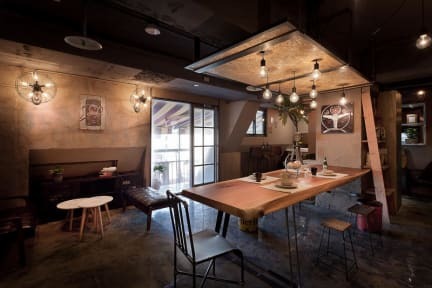 As for other dining needs, the ideal location allows you to sample wide arrays of local delights and restaurants in Ximending for a memorable Taiwan culinary experience. I can’t say if it felt like home at the time, but I certainly remember it that way. The handsome and talented Byron, works the desk and, if you're nice may play guitar for you. I saw the staff and some guests sit around and sing or clap along one night. We drank and chatted after closing time. The also beautiful and talented Lisa, (everyone I saw working there was good looking and spoke great English) was a great help navigating the city, and recommending bars, food, etc. Stay here. Good hostel overall, but you can get a better value for your money at other options in the city. 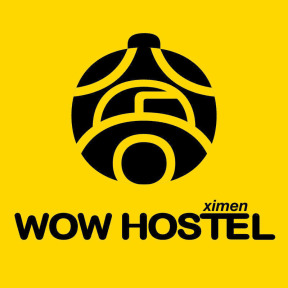 Ximen WOW is convenient if you need to be in the Ximen area, but I wouldn't go out of my way to stay at this hostel if I was planning to spend a lot of time at other places in Taipei. It's nice, but not outstanding. The staff are very good and so are the facilities, with the caveat that there are not many outlets in the common areas. This hostel was clean, the staff was friendly, and the location was convenient... but I had two of the worst night’s sleeps of my life. You see, there’s some sort of karaoke bar two floors down, and there are old people singing loudly and terribly until 2am. I’m not a very light sleeper and sound doesn’t usually bother me, but something about the acoustics made the singing echo through my mattress, pillow, and earplugs. It was terrible. But otherwise a perfectly nice hostel.